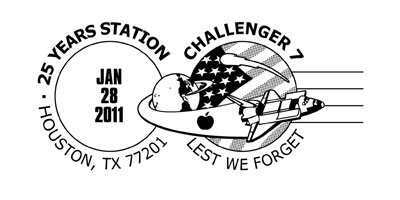 1) A special pictorial cancellation is available through Houston's main general post office (GPO) on Franklin Street for all mailed-in requests to commemorate and honor the 25th anniversary of the loss of space shuttle Challenger and its STS-51L crew. 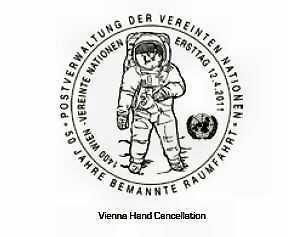 The cancellation was designed by artist Detlev Van Ravenswaay. 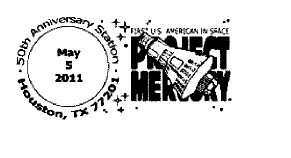 Requests should mailed to the address below with proper postage affixed (44 cents for covers; 28 cents for postcards; or 98 cents First Class International) and it is recommended that stamped return addressed return outer envelopes or packaging is provided by the sender. Due to anticipated volume, it may take up to a few weeks for postal personnel to process all of the requests. 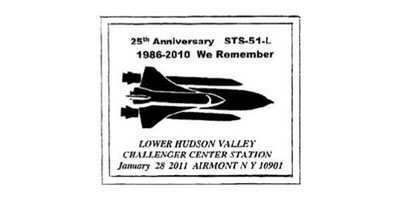 2)The Hudson Valley Stamp Society in New York has also designed a cancellation for the 25th anniversary of the loss of shuttle Challenger. 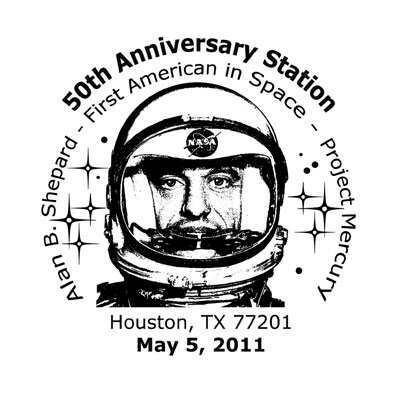 A special pictorial cancellation will be available through Houston's main general post office (GPO) on Franklin Street for all mailed-in requests to commemorate the 50th anniversary of Mercury-Redstone 3, the first American manned spaceflight by Alan Shepard, on May 5, 1961. Once available, requests should mailed to the address below with proper postage affixed (44 cents for covers; 28 cents for postcards; or 98 cents First Class International) and it is recommended that stamped return addressed return outer envelopes or packaging is provided by the sender. 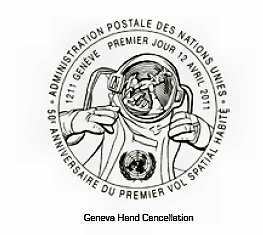 Cacheted covers with that cancel at €2 from: Ralf Schulz, Postfach 1219, 02962 Hoyerswerda. No prices are known yet; further information can be obtained (in German, Czech or Russian) from Julius Cacka at julius@atlas.cz. 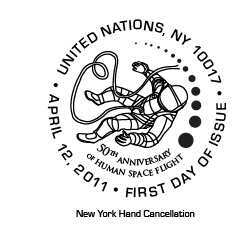 On 12 April 2011, special first day hand-cancellations for the "50th Anniversary of Human Space Flight" stamps will be available at United Nations Headquarters in New York; the Palais des Nations, Geneva; and the Vienna International Centre. 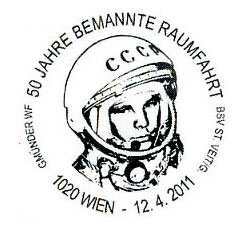 A special post office will be open on this day at the Zeiss Planetary Vienna, Oswald-Thomas-Platz 1, 1020 Wien (located on the Prater amusement park, right next to the giant wheel). 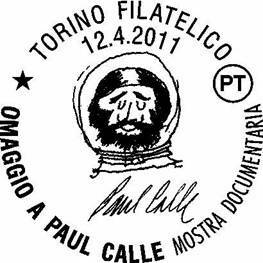 First Day of Issue Cancellation. Used: During 12th April 2011 on Minsk Post Office. 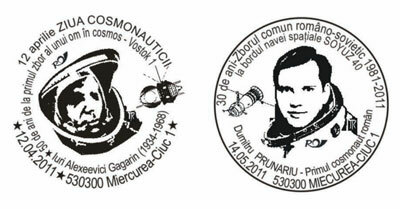 Ill.: Gagarin portrait with space helmet, planet Saturn, Vostok spacecraft. 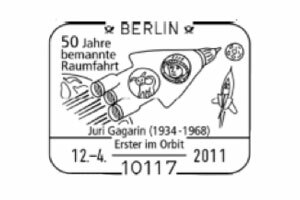 * Image: two circular stamps, launching spacecraft, stamp with an image of planet Saturn, figure "50" above a triangular stamp. 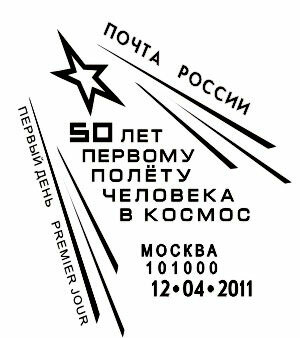 Russia issued a series of identical postmarks for the 50th Anniversary of Human Spaceflight with only the city named changed. The above example was issued for Moscow. 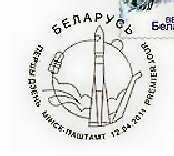 See Russian Postmarks for a list. 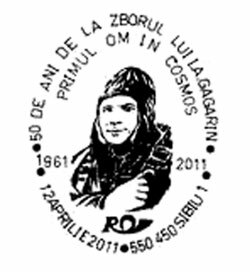 * Text: "50 de ani de la zborul lui I.A. 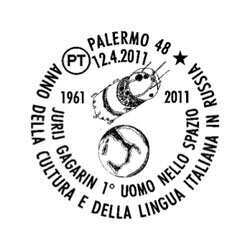 Gagarin/Primul Om i Cosmos/1961-2011" (50th Anniversary Flight of Yu. 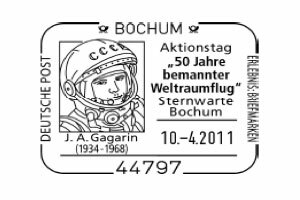 A. Gagarin/First Man in Space 1961-2011"
* Ill.: Gagarin portrait in pilot's suit (inspired by the Romanian stamp issued in 1961). Note the simulated USS Lake Champlain pmk. The actual ship was scrapped some time ago. 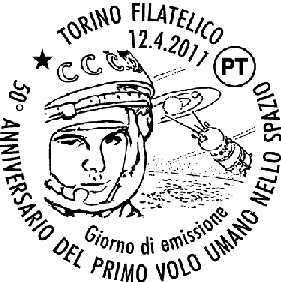 Lollini announced that this was the first colour postmark on a First Day Cover. It appears to be printed and may be a specially ordered postmark? 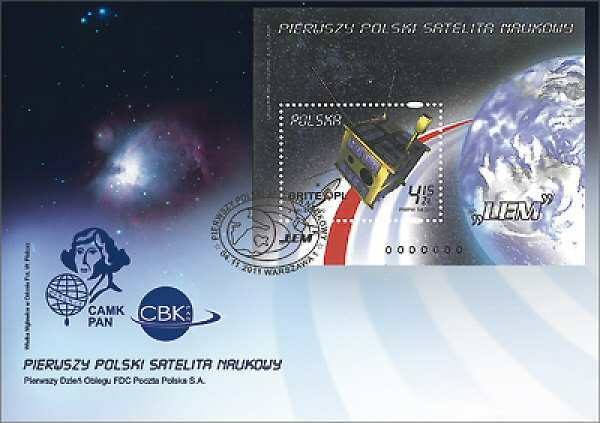 Postal Services are selling printed covers for 2,20 sFr. ea. 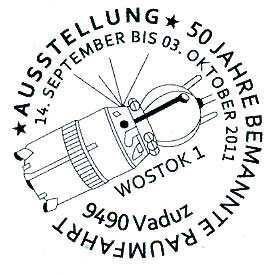 Philatelie Liechtenstein, Postfach 1000, 9490 Vaduz, Fürstentum Liechtenstein. 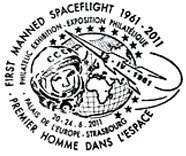 A private cachet was issued by a local stamp dealer for the Strasbourg Philatelic Exhibition. 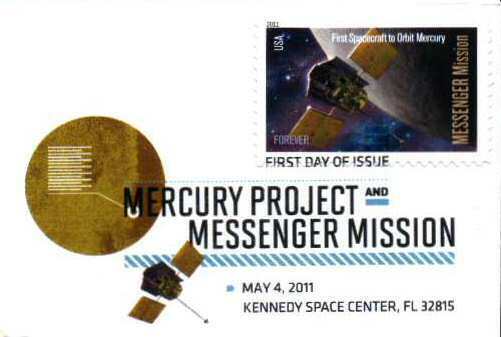 A special postmark is available at the Pasadena (Calif.) Post Office for the successful launch of NASA's Mars Science Laboratory with its Curiosity rover on Nov. 26, 2011. Requests will be honored up to 30 days after launch.